From time to time the International Space Station (ISS) will activate their Slow Scan Television (SSTV) transmitter. 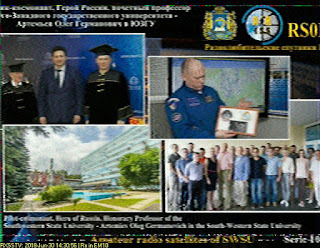 April 12, 2018 was one of those times as the Russian crew commemorated Cosmonautics Day. 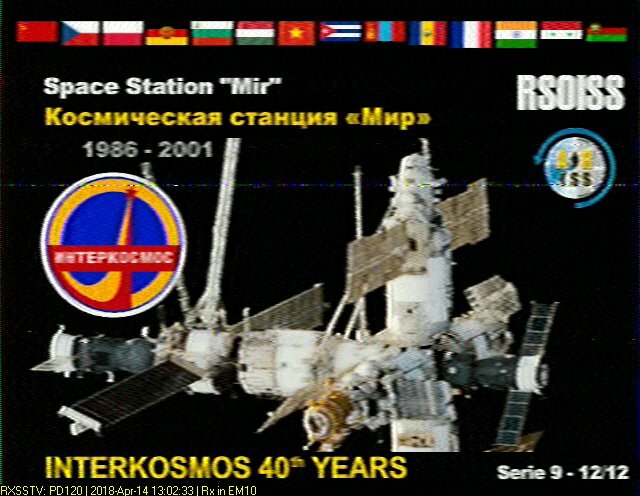 Getting a SSTV image from the ISS is kind of like getting a FAX sent to you from a spaceship. 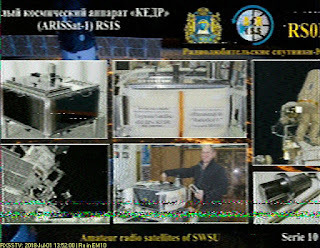 In the case of the captured image above the ISS was transmitting an audio signal to Earth on a frequency 145.800MHz with 25 Watts. 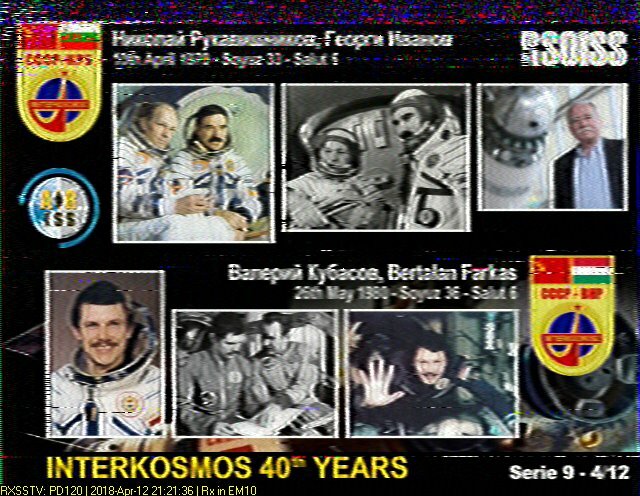 The signal is strong and lets anyone with some basic equipment receive and decode the image. 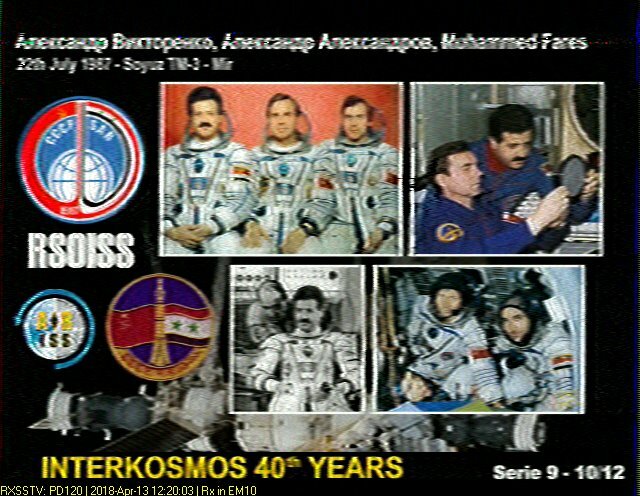 - The Heavens Above website to predict the ISS pass. - A Kenwood TH-D72A to receive the signal (could be a low cost ham radio or SDR). - A DIY Yagi antenna (the signal was so strong this was probably not required). - A small recorder to save the audio received. - Software to decode the recorded audio into an image. 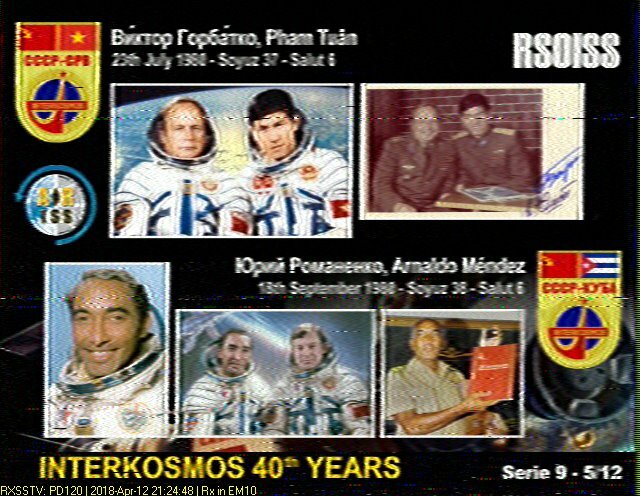 We used RX-SSTV.